RAVENOL Racing Castor 2T is a special 2-stroke kart oil based on synthetic esthers with Castor Technology additives. This chemical composition guarantees excellent lubrication and shear stability under all load conditions, with superior corrosion protection. Modern air-cooled 100 cc kart engines exert enormous demands on today's two stroke oils: Speeds up to 20,000 U/min, very high temperatures and extreme-bearing, piston pressures and reduced oil supply in the shift operation. In push mode, it is almost impossible for other oil brands to maintain a lubricating film and to ensure a hydrodynamic lubrication. However RAVENOL Racing Castor 2T was developed especially to cope with such extreme stress. It maintains a stable lubricating film even at the highest temperatures and pressures. 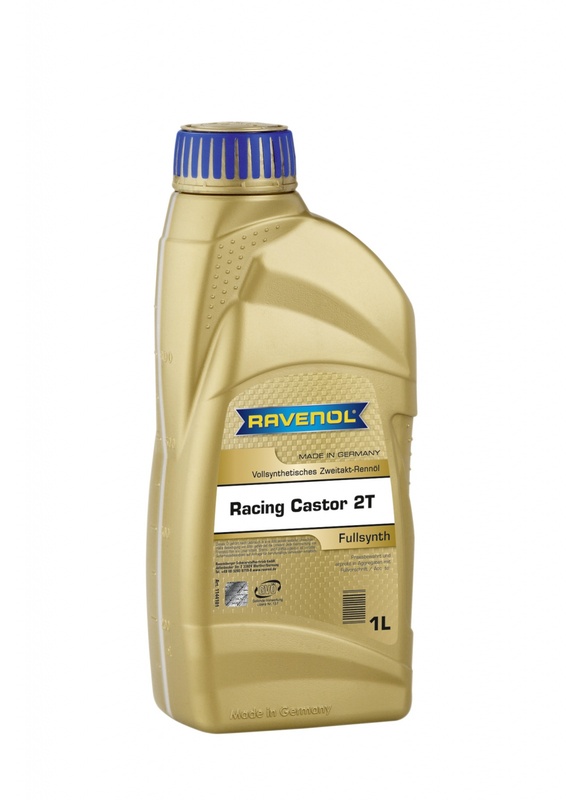 RAVENOL Racing Castor 2T contains more than 75% castor oil and is suitable for use with methanol and ethanol based race fuels. Mix thoroughly, even after long periods of time (about 1 week). Recommended pre-mix ratio: 20:1. Please note, it is not miscible with mineral and synthetic 2-stroke oils. Store at temperatures higher 5°C. Do not expose to freezing temperatures. Reduced carbon deposits resulting from its clean burning characteristics. Extremely low rates of wear. Put this in my Iame and it was so reliable.